While sight and hearing disabilities are the most talked-about when it comes to website accessibility, cognitive disabilities actually represent the largest number of computer users with disabilities according to the National Center on Disability and Access to Education. So, why aren’t we more aware of cognitive disabilities? 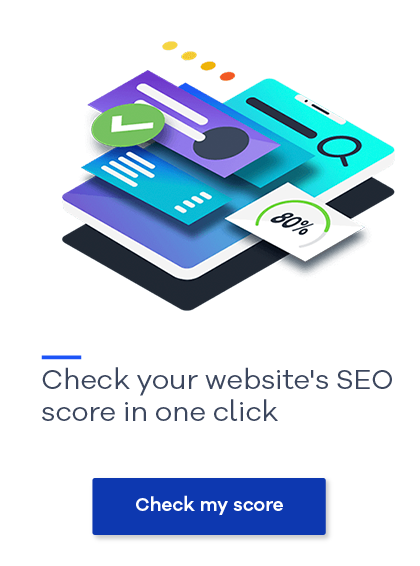 Well, because these types of disabilities contain a wide range of nuanced conditions and an even wider range of severity, so it’s difficult to present a comprehensive set of standards to which web developers should comply. Simply put, Cognitive Disabilities are any and all conditions or impairments that inhibit a person's mental process. The variations in type and severity are too great to list here, but many of these conditions are ones that we see and experience on a daily basis. From our perspective as web developers, it’s better to think about cognitive disorders purely from a functional consideration. Why? For one simple reason: as developers we can focus on the barriers, not the diagnosis. By thinking about and presenting solutions, we can focus on improving our user’s experience. Simply by following good design, content, and coding practices, we can improve the user experience for many people with cognitive disorders. We often talk about coding and specific things like semantic markup, and while we need to continue to think about these techniques, we also want to think about what is showing up on the screen. 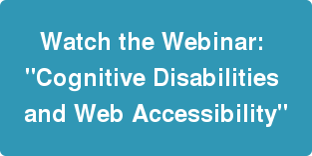 Watch the webinar "Cognitive Disabilities and Web Accessibility".